2018 was a great year for new tennis shoes. Lots of brands have come out with new designs and really stepped up the technology trends to fit the consumers’ needs. Here is a list of some of our favorite shoes released this year that you will want to check out for yourself. The Men’s Ubersonic 3 had a great revamp and is one of our favorite shoes released in 2018. This shoe was updated with Dyneema® yarn material for extra durability and support as well as a distinctive new design to give you better feel on the court. In comparing it to its predecessor, the Ubersonic 3 will give you better breathability, more responsiveness, increased stability and improved durability. 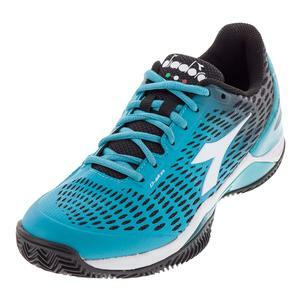 The forefoot has been widened to allow for more space and support when you are running around the court. The built-in sockliner does a better job wicking away sweat while keeping your foot locked into the shoe. While it’s not the widest shoe, it will feel bigger due to the widened toe box which can fit a larger scope of players. 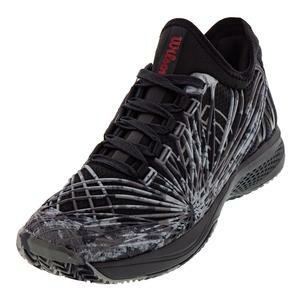 The Air Zoom Zero had a highly dramatic entrance into the tennis world and it did not disappoint. Nike took key innovations from everywhere to create this unique tennis shoe and keep a step ahead of its competitors. 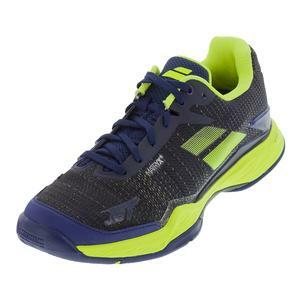 This shoe’s design has a full length Zoom Air unit to give you exceptional response, feel and cushioning when moving on court. The upper combines a one-piece textile makeup with a half-bootie construction to enable a second-skin like fit and excellent durability. Although the Zoom Zero does not weigh the lightest of the pack and is hard to put on, its exceptional low-to-the-ground feel and responsiveness make it a top shoe for 2018. You will start to see new colors for this shoe moving forward and it will be sparkling on the shelves. 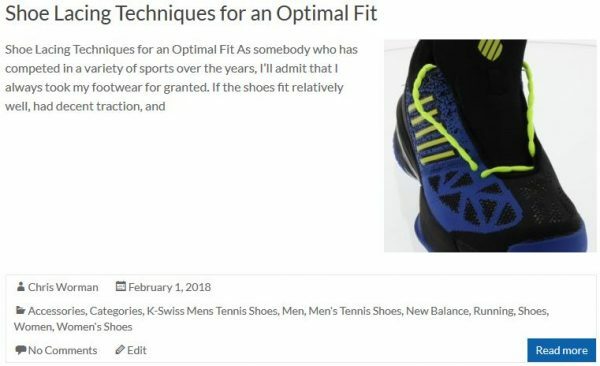 One of the biggest surprises for 2018 was the Head Men’s Sprint SF tennis shoe. This shoe was a big surprise because of the great technology updates Head included to improve their signature Sprint Pro shoe. This top of the line sneaker is engineered with SuperFabric® to make it ultra durable, very flexible and super lightweight. 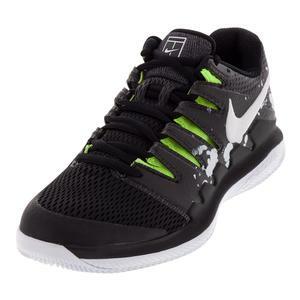 You will always think of this shoe when it comes to high performance tennis. You won’t have to worry about the shoe breaking down fast and you have a 3-month upper warranty/6-month outsole warranty in case it does. 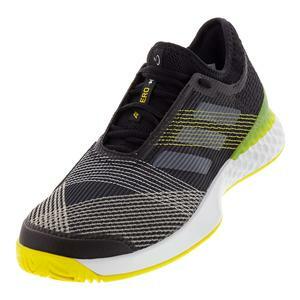 Your feet will have cushioning throughout the midsole so you get good responsiveness and traction. 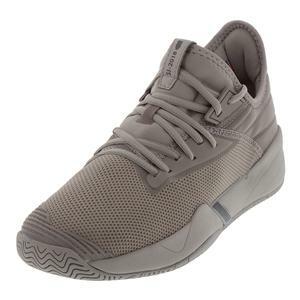 Also your shoes won’t feel like cement bricks after long hours of play because of the lightweight material. These sneaks will need a short break-in period, but it doesn’t take long for you to get comfortable and stay comfortable. 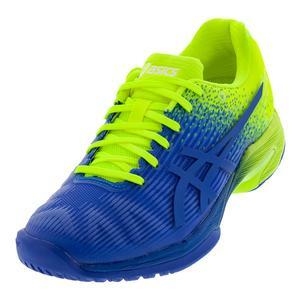 Asics has been an innovator in the tennis shoe market and I can clearly see why they are so successful with their shoes. The Solution Speed FF combines popular technologies from the Gel-Solution Speed and recently added Gel-Court FF to create a state-of-the-art performance shoe. 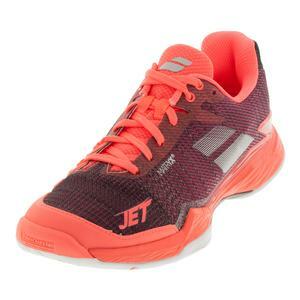 This is one of the lightest shoes on the market thanks to FlyteFoam® technology which utilizes organic “super fibers” to provide you with great cushioning, support and responsiveness. The upper is more form fitting to give you superior comfort and the AHARPLUS™ outsole with PGuard toe protector ensures good durability on any court surface. The shoe may fit narrower for some, but there is room for the sneaker to stretch on your feet. 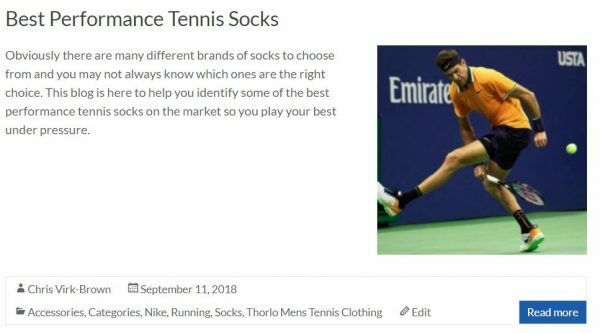 This is a big breakthrough in shoe technology and you can already see a trend in the tennis industry. 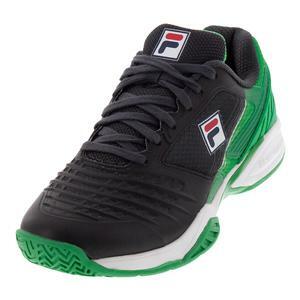 Another big surprise this year and a greatly improved shoe is the Fila Axilus Energized. This shoe took a step in the right direction with great technology updates and a new design to make it better than Cage Delirium. Lightweight, durability and breathability are the key features that come to mind with the Axilus Energized. Thanks to the Energized Rubber® Cushioning and Molded Breathable upper, you will be very pleased from the moment you put these shoes on. 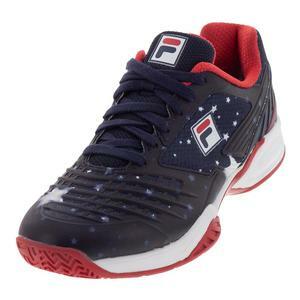 Even if you are skeptical about how long these shoes will last, Fila has a 6-month outsole warranty on this sneaker to guarantee its durability. This classic tennis brand has really stepped up their game in 2018 and it will be interesting to see what they come out with next year. Although the NikeCourt Air Zoom Vapor X was technically released in December 2017, we are still including it on our list since it wasn’t worn until the 2018 year. The Vapor X keeps most of the same successful technologies as the Vapor 9.5, but with a few minor tweaks. The outsole tread has been revamped, the upper is made of open engineered mesh construction, the Dynamic fit system comes in a little stiffer and the weight comes in a little lighter. 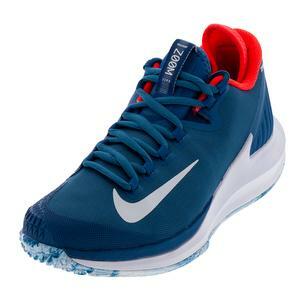 These sneakers are still a best seller for most tennis players because of its lightweight design, low to the ground feel, and breathability. The durability has been improved compared to previous versions, but it won’t last you a super long time if you play 4-5 days a week. 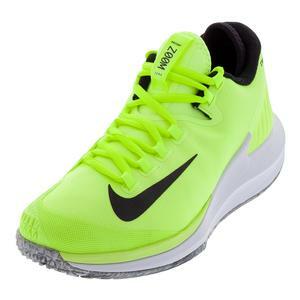 If you are a big fan of a classic lightweight tennis shoe, then the Vapor X is just what you need. The big focus for the Speed Blusheild 2 AG is improved stability, support and comfort. Diadora updated this version to give you better shock absorption and medial support in the midsole along with greater ventilation and stability in the upper. This still is a top-of-the-line durability shoe and Diadora doesn’t want you to forget it. The outsole includes Duratech 5000 wearproof technology along with a 6-month outsole warranty ensuring long lasting durability and performance. Comfort is not given up thanks to the Ortholite insole, Blushield technology and Molded E.V.A foam. The fit will be pretty natural in size, but can compensate for wider feet. Overall, this shoe is at its optimal design and will be hard to beat in the future. The Kaos 2.0 SFT tennis shoe is trending in the right direction for this giant tennis brand. Sneakers have not been a strongpoint for Wilson, but I believe this shoe really pushes them forward. This shoe has been modernized and redesigned to include a bootie sockline with Symbiofit technology to allow for a closer fit around your feet. It still keeps its lightweight tradition and superior breathability we saw in the original Kaos design. Additionally you will get plenty of comfort, torsion control and stability thanks to the Pro Torque Chassis Light in the midsole. 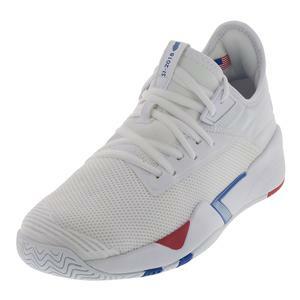 The design is a little different, but once you put these sneakers on you will see that Wilson has made a great lightweight tennis shoe. 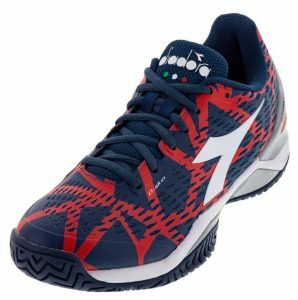 Babolat really stepped up their game for the Jet Mach 2 creating a tennis shoe that’s the lightest on the market so your feet don’t feel tired after hours of play. Compared to the previous version it will still have a similar make up with a lightweight one piece Matryx upper, Ortholite’s memory shape insole, and KPRS-X pad for shock absorption. The main update with the shoe is the Michelin Premium DIN 20 compound which delivers better traction and stability. 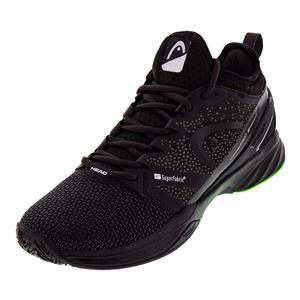 Although the shoe won’t be super durable, Babolat did a great job in giving you better traction, cushion and responsiveness in a lighter package. K-Swiss took a step in a different direction combining tennis with fashion in their SI-2018 Men’s Retro shoe. This sneaker takes cues from the brand’s original 1989 tennis shoe design and updates it to fit the modern era with street style. 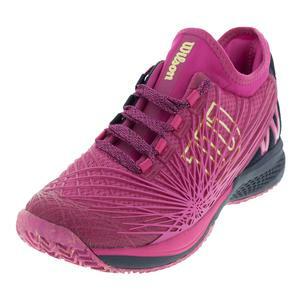 There is a lightweight upper mesh construction with a full bootie entryway so your feet will get plenty of ventilation along with a secure fitting. Aösta II high-density rubber is on the outsole to give you great traction, while DragGuard technology is placed in high wear areas to give you more durability. 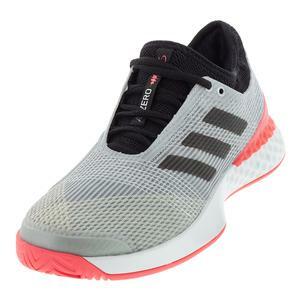 Similar to other lightweight shoes it won’t have the best durability, but the comfort level is very high and will make you want to wear this shoe for tennis or everyday fashion. 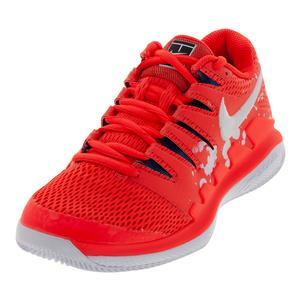 Whether you are looking for a lightweight, durable or value shoe, you can find it at Tennis Express. We have the largest selection of shoes for great prices. 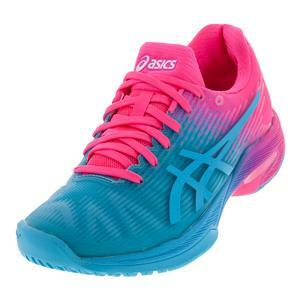 Purchase a new pair today so you can perform your best on the tennis court.